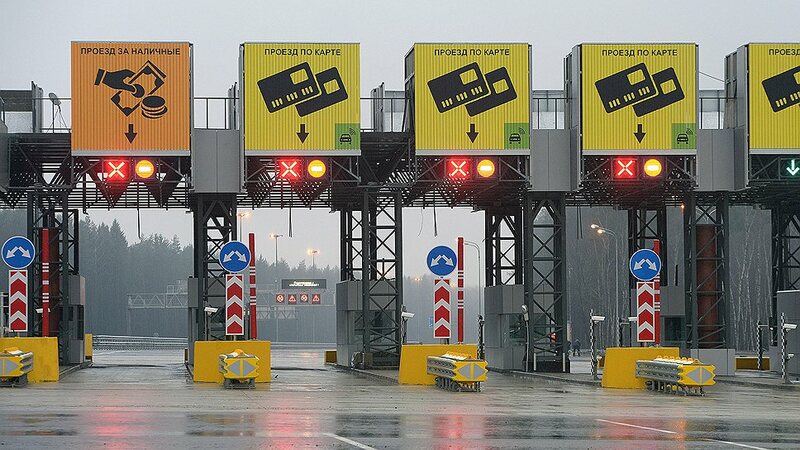 Speed highway M11 Moscow – St. Petersburg will become toll between the 15th and 58th kilometer on July 1. The first section of the M11 highway bypassing the Vishniy Volochek was opened in last November another part from Moscow to Solnechnogorsk was commissioned a month later. The road has worked in a test and free mode, but lately, Prime Minister Dmitry Medvedev has signed a decree on the toll use of the Moscow- Solnechnogorsk section of the route from July 1. Moscow-Solnechnogorsk part of the highway is a 43-kilometer road from the intersection with the Moscow Ring Road (MKAD). Using it, you can get to Sheremetyevo International Airport, Zelenograd, or to the ‘concrete’ ring road (A107) that is 50 km away from Moscow. The tariffs have not yet been officially set yet. However, the price of a trip from Moscow to Sheremetyevo Airport will be approximately 100 rubles (€1.39), to Zelenograd – 150 rubles (€2.09), while to Solnechnogorsk – about 300 rubles (€4.18). That is about 7 rubles (€0.10) per kilometer. Final pricing will be differentiated by season, time of day and vehicle. The alternative free route has a total length of 38.8 kilometers. It passes through the Leningradskoe and M10 highway. 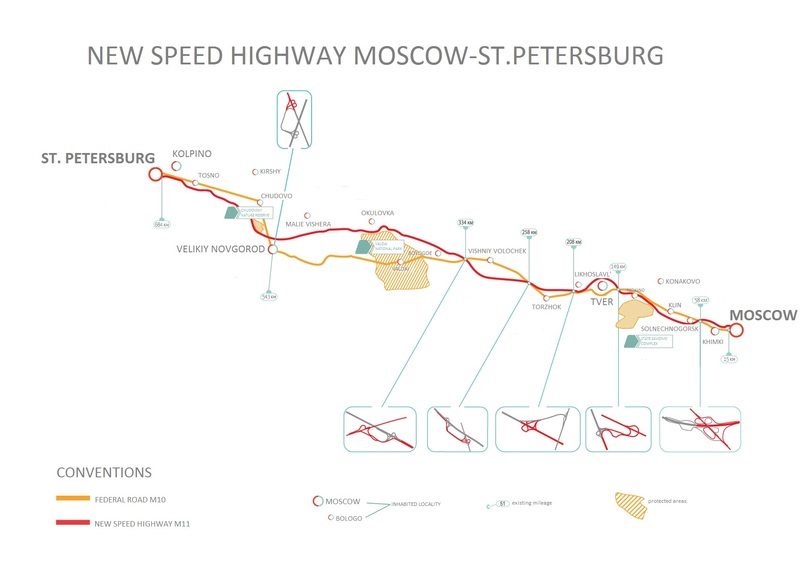 Speedway M11 will be the backup of M10 route, its total length will be 669 km and the travel time between the Moscow and St. Petersburg will be reduced by 4-5 hours. The road will pass through Moscow, Tver, Novgorod and Leningrad regions. The road is planned to be completed in May 2018.